Raspberry plants are often cultivated for their delicious berries, but they will take over a garden or yard like the weeds they really are. Whether you want to simply contain these plants or be rid of them altogether, you must be prepared to kill them when they start to spread. 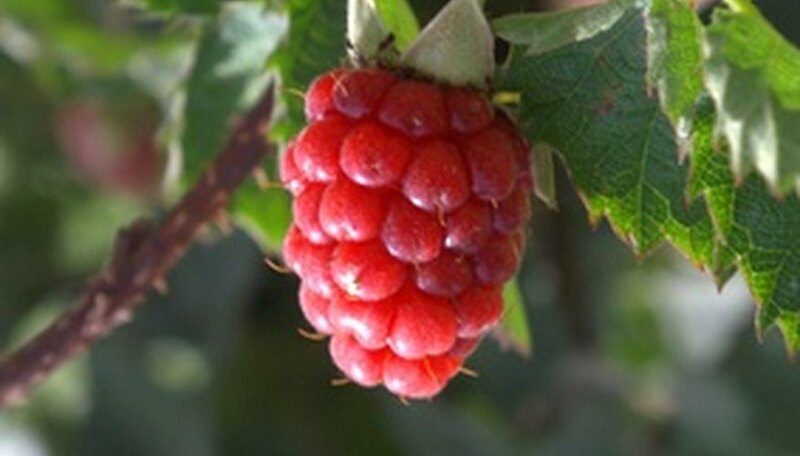 This can be tricky, given their thorny vines and how densely the plants grow, but with a little effort—and a good pair of gloves—you will be able to eliminate raspberry plants for good and reclaim your garden or yard. Put on a pair of sturdy garden gloves. Trim back the raspberry plants with garden clippers, but don't cut them down to the ground. Cut away excess vines so that you can easily see where each plant is growing. Place all the trimmed vines in a trash container. Identify each spot where a raspberry plant is actually growing, and trim any remaining vines away. Leave about 12 inches of vine on each plant. Dig up each raspberry plant with a spade or a shovel, going deep enough to remove all the roots of the plant. Dispose of the roots and vines in the trash container. Monitor the area where you dug up the raspberry plants for the next few weeks. Spot-treat any raspberry shoots with the glyphosate spray, which will kill the raspberry plants without hurting your grass. Target the problem plants and avoid spraying the surrounding area. Work when the soil is damp but not muddy. This will help ensure that you get all of the roots so they can't reestablish themselves and return to fight another day.